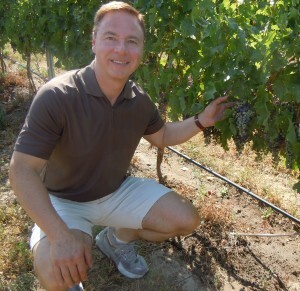 Walla Walla is home to some of the greatest Merlot vineyards in the world. Among the great vineyards of this AVA, three stand out for exceptional Merlot. Each vineyard has distinctive flavor characteristics. Seven Hills Vineyard. This vineyard is located in the southern portion of the Walla Walla wine growing region or “AVA” and is actually located in Oregon, closer to Milton Freewater than downtown Walla Walla. The vines are planted on a slope that faces north and northwest. The soils are sandy loam and have good water drainage. It is a warm site that often survives frosts and other catastrophic events. The microclimate of the site and the outstanding management accounts for the high quality of the wine grapes grown there. The Merlot grown here has a distinct dark fruit characteristic reminiscent of Bing cherries. Pepperbridge Vineyard. North of Stateline road and close to the Milton highway, this vineyard is well known to provide premium bottlings of Cabernet Sauvignon. What is not so well known is the site produces big bodied and well structured Merlot. Fine soils with few stones, the best portion of the vineyard is located on a bench that slopes generally to the north although some parts do face south. There is a lesser portion of the vineyard to the north separated from the main section by a hay field which is flat and yields lesser quality than the southern bench. The Merlot is full of dark fruit, cherries, plums, lots of tannin all on a huge frame. Ash Hollow Vineyard. Located on the far western side of the Walla Walla Valley, this cooler site faces south. The soils also are fine and have good drainage but this vineyard can suffer from frost and freeze more than its neighbors to the south of the valley. Ash Hollow Merlot is closer to a medium body and produces fruit flavors that are bright and fresh, similar to Rainier cherries. You can find some good bottles of Merlot from these vineyards from various Walla Walla wineries including Saviah, Seven Hills Winery, Ash Hollow Winery and Pepperbridge Winery. The only wine to contain all three of these vineyards in one bottle is the Nodland Cellars “Bad Attitude” red wine. This one is a blend of Walla Walla Merlot from these three top vineyards, blended with Malbec and small amounts of Cabernet Franc and Petit Verdot . Cherries, blueberries, spice and a hint of vanilla. Retail price is $20 at the winery.